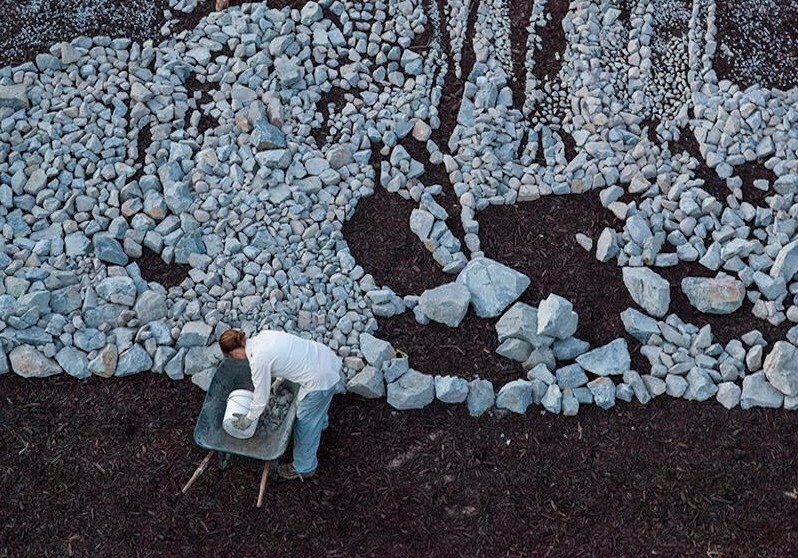 The artwork imagery was transformed by nature over the course of one year as intended by the artist and the Biennale, and now it has come full circle with nature reclaiming the landscape. 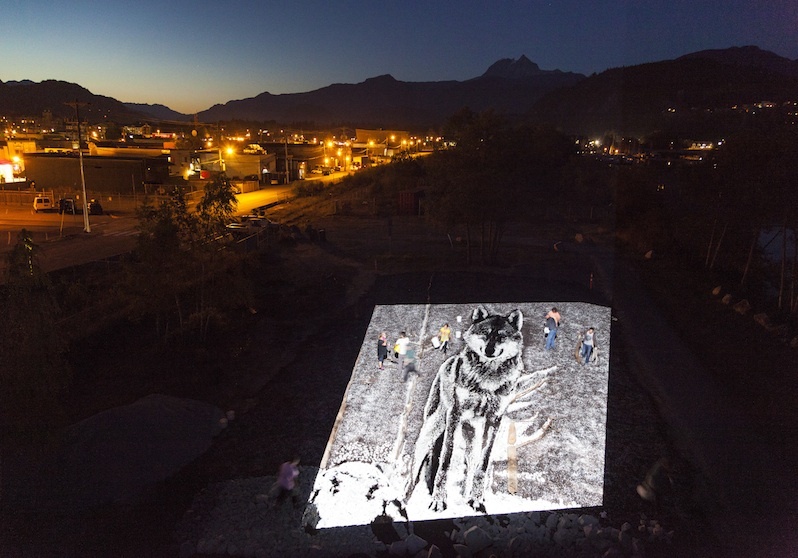 From July 21 to August 8, 2014, Vik Muniz and his team worked in Squamish with First Nations groups and the local community to create a grand-scale land mosaic that incorporated local natural materials and imagery into a portrait of a wolf so large that it could only be viewed from an elevated platform. 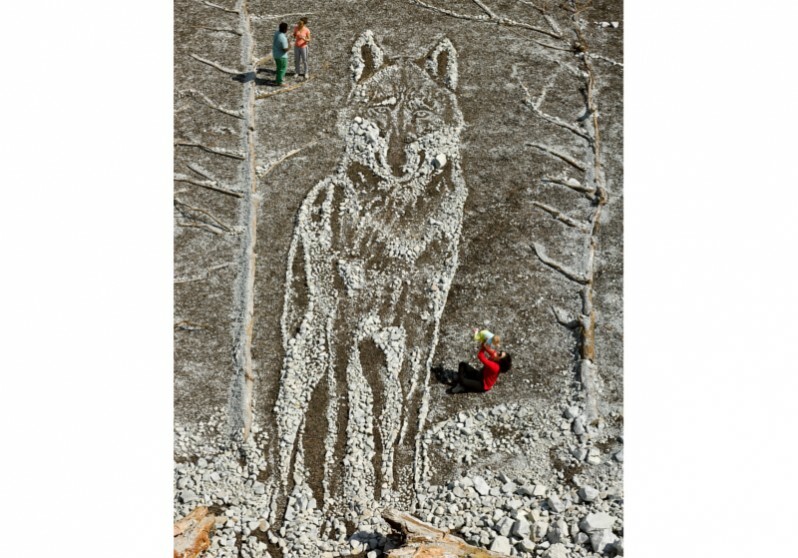 Untitled (Wolf) was the Canadian debut for this renowned Brazilian artist. 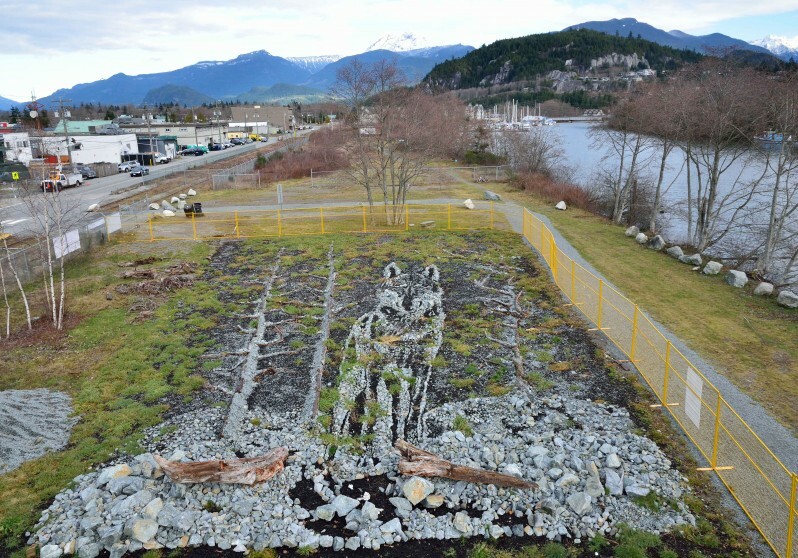 Conversations with Squamish Nation elders led Muniz to choose the image of a wolf as the wolf represents collaboration and unity, values that Muniz felt represented the community of Squamish and the process of the project itself. Hundreds of residents worked every night for three weeks to help make this mosaic a reality. 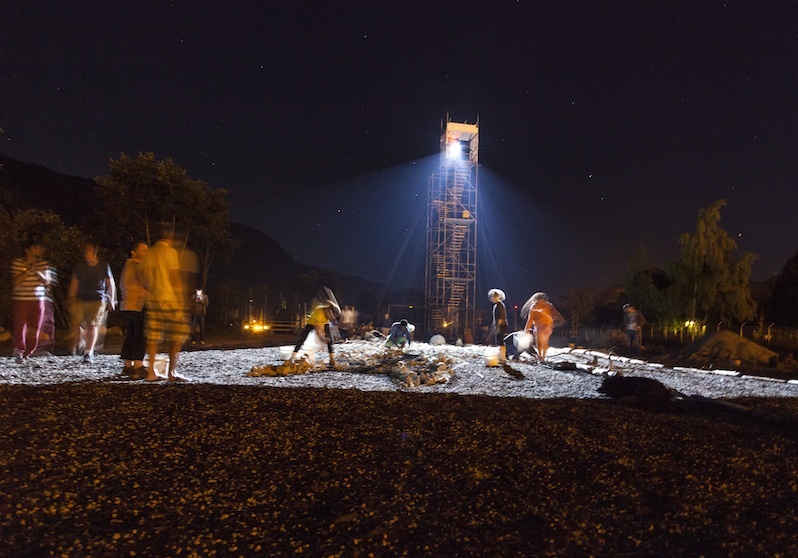 As with his other mosaic projects, the image was projected on the ground from a tall scaffolding tower which guided Vik, his team, and local residents to create the artwork using natural materials that speak to the history of the lumber and stone-mining industries that are part of the region, and which are part of everyday life of the community. 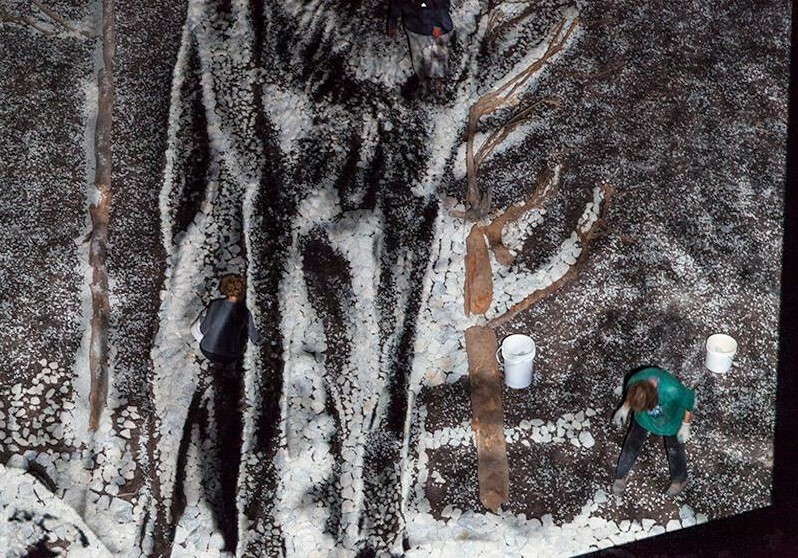 This process connects to Muniz’s previous work creating large-scale mosaics with people in different communities, most famously with garbage-pickers in the Brazilian junkyard Jardim Gramacho chronicled in the 2010 Oscar nominated film Waste Land. 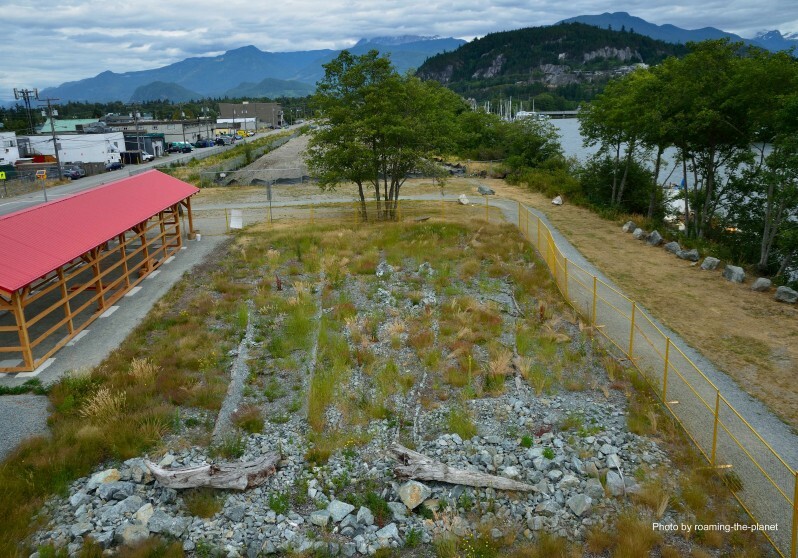 In Squamish, Muniz’s emphasis was on community participation and involvement, so that the work inspired action and collaboration with the public in order to create a truly public art installation. 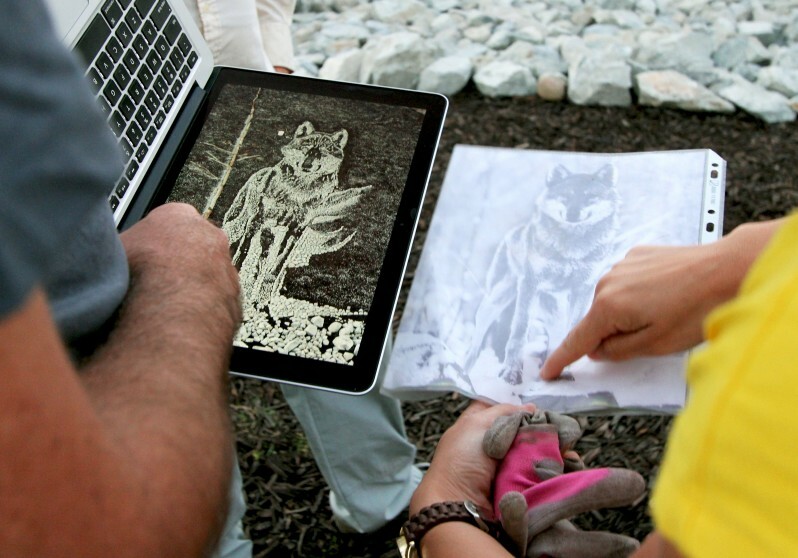 The project now lives on as a digital photographic artwork. CBC Early Edition Segment begins at 2:21:35s.